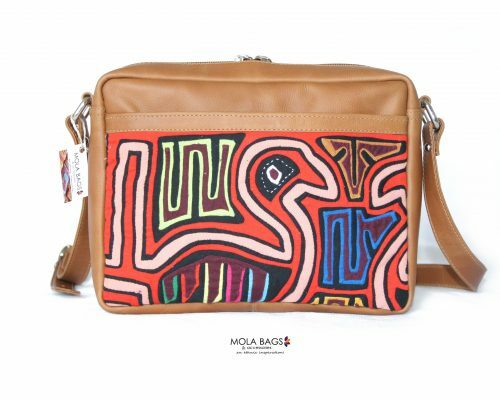 Unique and beautiful leather wallet with handcrafted Mola Textile decoration from the Gunadule Indigenous community. 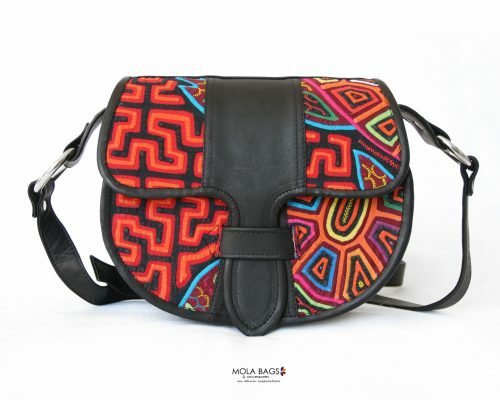 Handmade by artisans in Colombia. 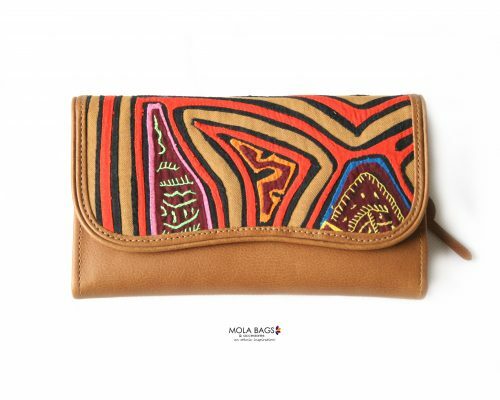 Small and beautiful leather wallet with handcrafted Mola Textile. The purse is available through a push button and has an extra small coin pocket on the back side. It has 18 compartments with enough space for cards/credit cards, identity card, bank notes, and change. Thanks to it comfortable size, fits on each bag model and form. This purse keeps everything safe and organized together. Everyone will be charmed with the colors and shapes !! Dimensions: Lenght: 12,5cms. Height: 9cms. Width: 1,5cms. 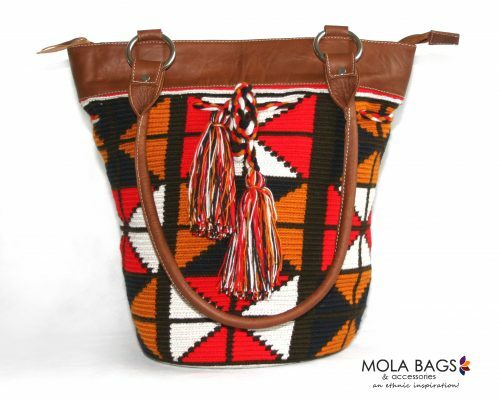 Materials used: High-Quality Cowhide leather, Mola-Decoration from Cotton, Inside Lining from Polyester.